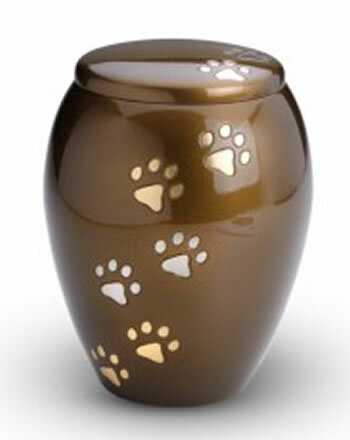 The Majest Paws Pet Cremation Urn is available in three sizes for small to large size pets. 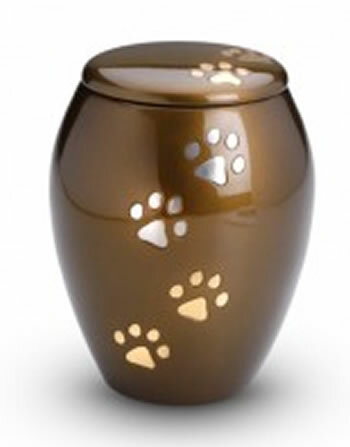 All three feature silver and gold paw prints on the side and on the lid of urn. The lid is threaded and secure. The urn is protected with a specially formulated GlossCoat™ for added protection. Offered in three matching sizes by Memorial Urns and handcrafted with Love by LoveUrns®.